Yesterday I alluded that publishers had gotten quite smart about the dual reader phenomenon. The best example is Treasure Bay’s “We Both Read” series ($4.99). The books, divided into reading levels (K, K-1, 1, 1-2, 2, and 3), are written for two readers. Unlike yesterday’s recommendations — You Read to Me, I’ll Read to You — these books contain a clear hierarchy. The left page is meant for an advanced reader and often contains one or two sentences in small type-face. The right page is for emerging readers and contains one word or the final few words in large print of the adult reader’s story, giving the emerging reader a chance to ‘finish’ the sentence. The higher levels contain one or two complete sentences for the new reader. Overall, I think this is a great idea and I recommend this series a lot. It allows for physical closeness as the adult and child are reading from one book, and it gives children an opportunity to participate in the reading experience, while still having the luxury of listening. The series also contains a range of fiction and non-fiction. My problem with the series is that the illustrations aren’t that great and the stories themselves seem a bit boring. Why even bother recommending them? Well, see the first part of this paragraph. The reading experiences that these books produce, for me, trump their quality. And it’s not to say that they are *that* bad, but let’s face it, there are far better books out there for young readers. I don’t have exact statistics, but other than requests for new baby recommendations, I feel as if I get a lot of inquiries about early readers. It must be scary, or a bit sad, for parents to realize that their kids are starting to read on their own, so parents seem to rely on recommendations. In my experience, parents are often looking for books that children can read themselves, but that are also enjoyable read alouds. Some publishers have gotten rather smart about this phenomenon, but more on that another time. For very new readers, let’s say several steps before chapter books, when kids are sounding out words and can read sentences, but not full paragraphs, I highly recommend Mo Willems’s Elephant & Piggie books. Kids who enjoyed his Knufflebunny and Pigeon picture books will love the irreverent humor in this early reader series. The text is sparse, but Willems plays with words, often delighting in words themselves. Elephant & Piggie laugh and laugh at the sound of the word ‘banana’. Say it over and over again; you’ll start laughing, too. The two characters display a range of emotions and have hilarious conversations, with occasional misunderstandings, but one of the most interesting feature of this series is that they also engage directly with the reader and serve as guides for conceptualizing reading and books. In We are in a Book! (Hyperion, $8.99) they comment on their own status as characters in a book. They then discuss what makes up a book, instructing readers about the different pieces. Anxiety about the “end of the book” is humorously alleviated by the perpetual present tense of books. Start over and the story is still there. Willems series is as much about introducing the phenomenon of reading to children as it is about practicing reading. I find that quite an amazing feat for a book with approximately one sentence on each page. A few weeks ago, a customer told me that she reads the books out loud with her son, each taking one of the characters, which I thought was a wonderful idea. The books are primarily dialogue and offer unlimited possibilities for discussion. Oh, and don’t forget to look for the Pigeon. for an early reader, who likes Fantasy (Part 4). I never meant for this week to be all about Fantasy, but I’m enjoying it so much I figured I’d finish out the week. According to J. 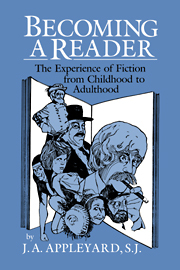 A. Appleyard in Becoming a Reader: The Experience of Fiction from Childhood to Adult, young children experience the world through fantasy, and that “they live in a magical, numinous world, where the boundaries between the self, the factual, and the imaginary are permeable and fluid” (22). As such, picture books often depict the self, the factual, and the imaginary all mixed-up together (think Where the Wild Things Are). The trend continues into early readers, so some might argue that most early reader books are fantasy, and certainly many of the classics are: Frog and Toad and Little Bear are prime examples. 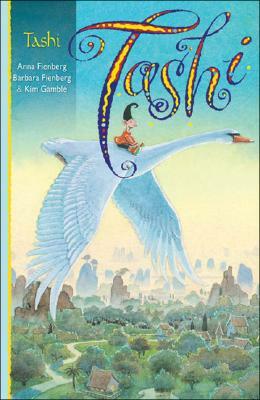 The book I recommend most often for this age group, regardless of whether customers ask for fantasy specifically, is Tashi, by Anna Fienberg (Allen & Unwin, $5.99). Tashi is an imaginary friend . . . or not? There is a certain ambiguity about whether this book is fantasy — Tashi being a supernatural being — or realism — Tashi being Jack’s imaginary friend. Jack’s parents engage with Tashi, but it is unclear whether or not they actually see him. Like Appleyard’s arguement, Tashi (book and character) blurs the lines between fact and fiction. Kim Gamble’s illustrations depict Tashi’s adventures, but the text remains uncertain. The books (there are several in this series) are perfect for kids who are not *quite* ready for chapter books, but are well-written and will even be enjoyed by kids who are already reading longer stories. Crabtree Publishing Company has an excellent series, by Bobbie Kalman, about various countries, including China. The series contains three books for each country on The People, The Land, and The Culture ($8.95). Comprised of quality research and images, this series is a valuable resource for teachers and any late-elementary or middle-school enthusiast starting to be interested in China. Younger readers will enjoy China ABC’s (Picture Willow Books, $7.95), which is beautifully illustrated and edited for ages 4-6. Ed Young, author/illustrator of Lon Po Po: A Red-Riding Hood Story from China and The Lost Horse: A Chinese Folktale, has written and illustrated an auto-biographical picture book entitled, The House that Baba Built: An Artist’s Childhood in China (Little, Brown, $17.99), which describes the encroaching war in China through the lens of a child and artist. Marco Polo, by Demi, is a lavishly illustrated history book (Marshall Cavendish, $19.99) and discusses Marco Polo’s explorations, including his two years in China. For older readers, there are two poignant autobiographies that illuminate very different interpretations of childhood in China. In Chinese Cinderella: The True Story of an Unwanted Daughter (Delacorte, $8.99), Adeline Yen Mah describes her childhood in Hong Kong and tells of the psychological abuse she endured at the hands of her step-mother. Conversely, Jean Fritz, in Homesick: My Own Story, describes her childhood experiences growing up as an American expatriate in China. Homesick (Paperstar Book, $5.99) was a Newbery Honor book in 1983.
a chapter book for a 2nd grader. Sara Pennypacker’s Clementine (Hyperion, $5.99) is by far my favorite character from an early reader series. She’s spunky and resourceful, with a sense of humor. She gets into trouble a lot, mostly for not paying attention, but she is paying attention, just not always to her teacher. Nevertheless, she has quirky relationship with her teachers and principal, and ultimately they seem to understand that Clementine always has the best of intentions. Her parents encourage her uniqueness and gently remind her how much she is loved. Marla Frazee’s illustrations are perfectly paired with the text and bring out the subtle humor in this story. The image of Clementine talking to the principal is priceless! The fifth book in this series, Clementine and the Family Meeting, has recently been released in paperback. Luckily there are two more Clementine books to come before the series ends. Sunny Holiday, by Coleen Paratore, has become a recent favorite (Scholastic, $5.99). Sunny is more assertive and confident than Clementine, and is not afraid to speak her mind. Sunny and her best friend Jazzy live in an apartment building filled with strong, independent women who gather together for a monthly dance party. Surrounded by these role models, Sunny decides to create a Kid’s Day, and in the process learns how much influence kids really can have. The second book in the series, Sweet and Sunny, is still in hardcover. Sunny has a lot more to say, so here’s hoping we see more of this series.